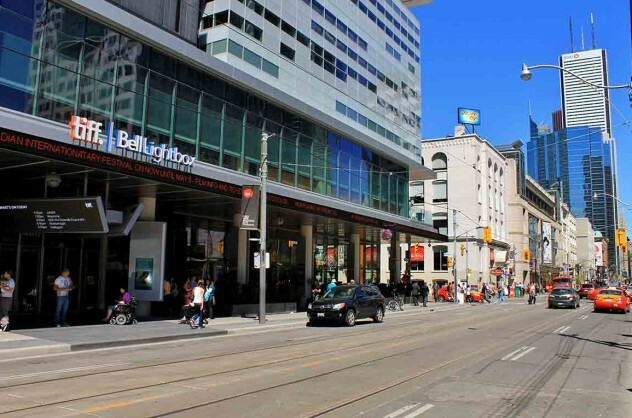 This week TIFF made the last of their announcements for the 2014 festival. On tap were the last of the film selections across a variety of programmes including the Discovery, TIFF Kids, Special Presentations, and Masters Programmes, as well as the Mavericks events with a roster of top Hollywood talent, final details on the Festival Street initiative, the Official Guest List, and the Official Film Schedule. Let the final planning begin! The most notable of the film additions announced include St. Vincent, starring Bill Murray, Naomi Watts, and Melissa McCarthy, James Franco’s ambitious adaptation The Sound and the Fury, based on the novel by Nobel Prize-winning author William Faulkner, both in the Special Presentations programme, and 2014 Cannes Film Festival Palme D’or Winner Winter Sleep in the Masters Programme. 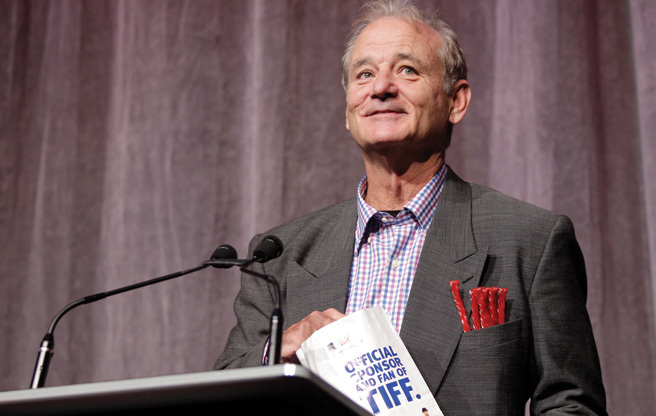 Although the whisper was suggesting it would be a Gala screening, the rumour that TIFF wanted to honour Bill Murray with a presentation of St. Vincent and with a day of programming has now been confirmed. From 10AM to 6PM, on Friday September 5th, the TIFF Lightbox will play host to Bill Murray Day, with a triple-bill of films and hints of ‘surprise’ guest (our guess? It’ll be Ivan Reitman, duh), followed by a red carpet screening of the film later that night at 9PM at the Princess of Wales Theatre. The Mavericks Programme offers audiences intimate conversations with top talent and leaders in the film industry, and this year is certainly no exception. These sessions offer engaging, in-depth discussions, with the guests revealing insight into their latest projects. The guests for the 2014 Mavericks Programme include Denzel Washington and Antoine Fuqua discussing their collaborations and Festival selection The Equalizer, Juliette Binoche discussing her extraordinary career and her performance in the Festival film Clouds of Sils Maria, Reese Witherspoon talking about her career and two films at the festival Wild and The Good Lie, and with Richard Gere, Robert Duvall, Jon Stewart, Martin Scorsese, editor David Tedeschi, and journalist David Thorpe also discussing their latest works. Perhaps one of the most anticipated events happening this year is Festival Street. Always a hub of Festival activity, King Street from University Avenue to Peter Street will be closed and transformed into an exciting and energetic street festival featuring works of art across multiple disciplines, pop-up performances, a music stage, food trucks, relaxing seating, and more. Several art installations will be seen throughout the neighbourhood, live theatre performances presented by the Toronto Fringe, a massive Chess Board, The Board Game Concierge presented by Snakes & Lattes, and a HAL9000 Photo Booth promoting TIFF’s upcoming Stanley Kubrick exhibit will also add to the excitement. CTV’s eTalk will also be hosting Telefilm Canada’s Live Game Show featuring a friendly competition between this year’s TIFF Rising Stars and well-known Canadian talent, putting their knowledge of Canadian cinema to the test. Additional information about Festival Street, including a map showcasing the location of each event, can be found on TIFF.net. Stay tuned for a wrap-up from us on this exciting new feature of the Festival after the first weekend! One of the most exciting aspects of the Festival is often the impressive roster of industry delegates, directors, and actors, including many top Hollywood names. The Official Guest List has now also been revealed and without fail, it contains an impressive list of people preparing to descend on city for this year’s event. 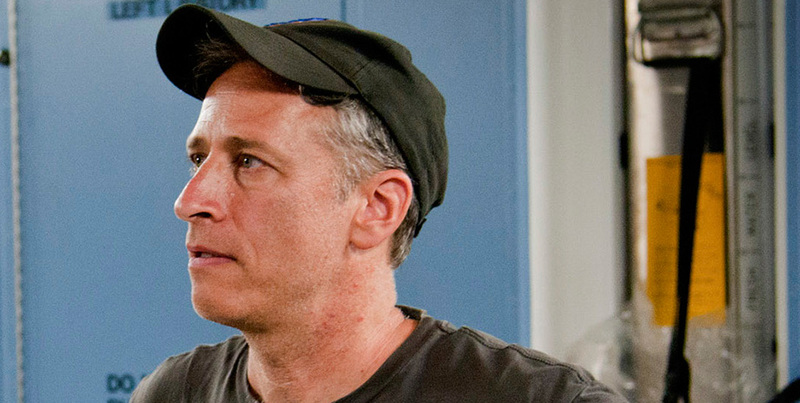 Expect to see the likes of Noah Baumbach, Paul Bettany, David Cronenberg, Xavier Dolan, Chris Evans, James Franco, Antoine Fuqua, David Gordon Green, Sturla Gunnarsson, Ethan Hawke, Mike Leigh, Barry Levinson, Bennett Miller, Andrew Niccol, Jason Reitman, Alan Rickman, Chris Rock, Jon Stewart, Julie Taymor, Michael Winterbottom, and Frederick Wiseman, among many others, all presenting their new films that they have directed. The list of actors expected to attend to support their films is equally impressive. Not surprisingly there are a few actors whom even have multiple films screening at this year’s festival; Adam Driver, Chloë Grace Moretz, Anna Kendrick, and Adam Sandler each have an impressive trio of films on offer. The following stars have a pair of films in which they appear; Steve Buscemi, Patricia Clarkson, John Cusack, Laura Dern, Jennifer Ehle, Charlotte Gainsbourg, Paul Giamatti, Dustin Hoffman, Felicity Huffman, Keira Knightley, Anthony Mackie, Maika Monroe, Julianne Moore, Viggo Mortensen, Al Pacino, Teresa Palmer, Simon Pegg, Christopher Plummer, Sam Reid, Jérémie Renier, Mark Ruffalo, Fabrizio Rongione, Sullivan Stapleton, Dan Stevens, Kristen Stewart, Corey Stoll, Jeremy Strong, Rossif Sutherland, Denzel Washington, Mia Wasikowska, Naomi Watts, Reese Witherspoon, Sam Worthington. 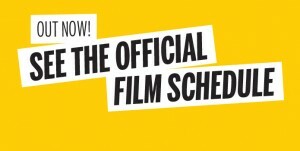 The eagerly anticipated Official Film Schedule is now also available. Each film on the Festival site now has expanded descriptions and screening times on their pages. There is also an online interactive schedule on the site that lets you select each day and see which films are playing. A PDF version of the schedule is available to download from TIFF.net, and paper booklet of the schedule are available from the TIFF Bell Lightbox for free. The complete Film Programme Guide Book is also now available for purchase from the TIFF Bell Lightbox Gift Shop. With selection windows for Ticket Package holders just around the corner, and single ticket sales starting August 31st, the real fun of planning and preparing schedules begins. Get ready, the Festival begins in just over 2 weeks!